Go with Stash Hotel Rewards, and you can’t go wrong! If you’re reading this, it’s been well established that you have a strong road-less-travelled, independent streak. After all, you’ve stayed at The Lenox. And if you love The Lenox as much as we do— by the way, this is Stash Hotel Rewards speaking, champion of all things independent, boutique, and loyalty-based—then you’re going to adore these other New England gems. Longing for fresh air and good country? Head West. 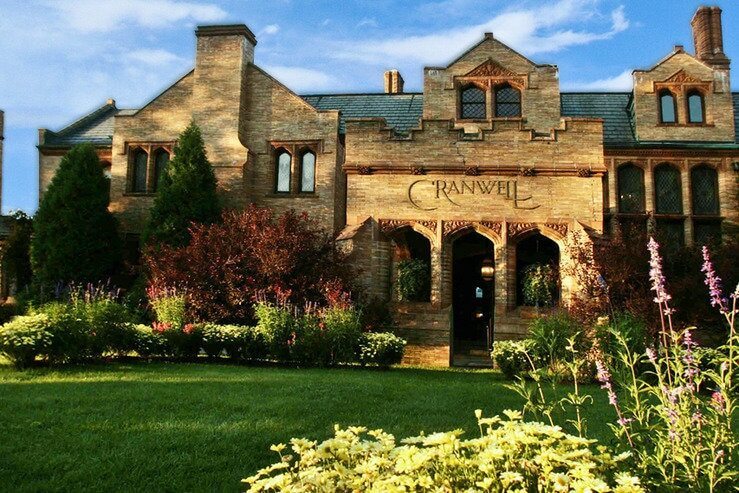 This 100-year old mansion expanse, an architectural cross between Downton Abby and Game of Thrones, perched amidst Lenox’s rolling hills, offers deluxe spa treatments and scenery unlimited. It’s a world unto itself. Cross country skiing when there’s snow on the ground; golf course, tennis courts, indoor/outdoor heated pools to enjoy in the spring, summer, and fall. And that’s just what’s outside. A massive fitness center and spa await you inside, and onsite restaurants go from farm-to-table to tavern-style. Passing through the revolving door seems a fittingly symbolic way to enter this 45-room boutique, which takes an old-becomes-new approach to interior design. Exposed brick walls. Tin ceilings. Velvet arm chairs. Decorative columns. A birdcage elevator. 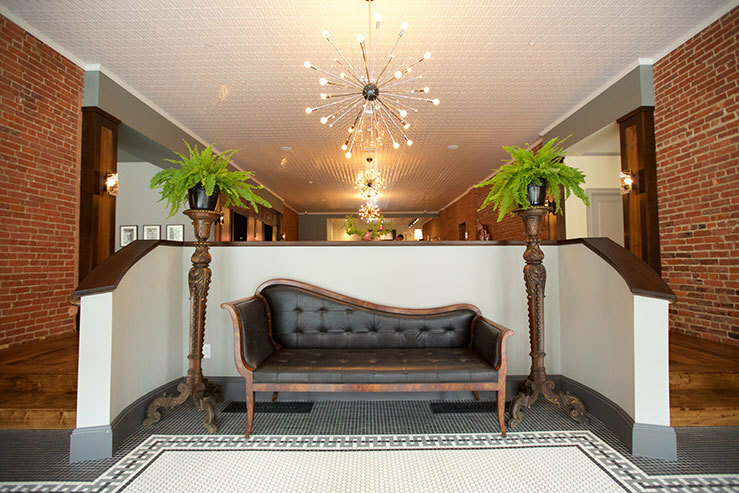 Hotel on North, a former 19th Century haberdashery, boasts an urban-rustic aesthetic and acts as an ambassador to the Berkshires. You can find The Porches Inn—the adventurer, the composer, the artist—in the ISFP corner of the Myers Briggs personality matrix. 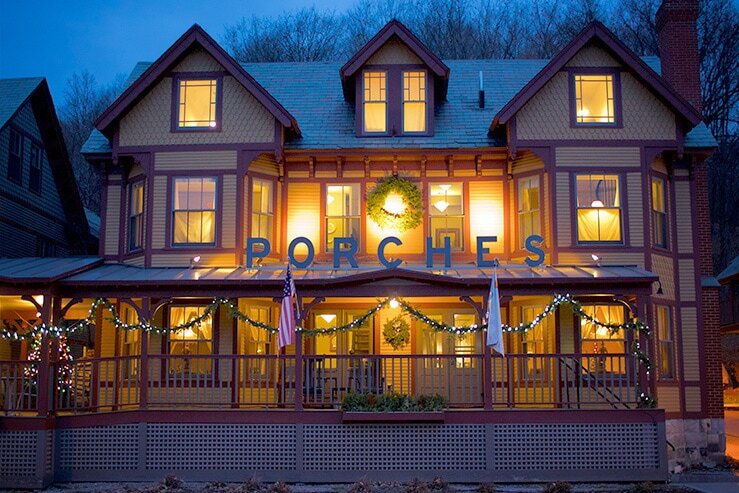 A stay at The Porches, a block of converted 19th century row houses, is kind of like staying in the Massachusetts Museum of Contemporary Art across the river, but with room service, a pool, an outdoor fire pit, an artful breakfast buffet, and a decidedly more Victorian-era vibe. If Boston isn’t colonial enough for you—yeah, right—head south to Rhode Island, the first of the thirteen colonies to renounce its allegiance to The Crown. 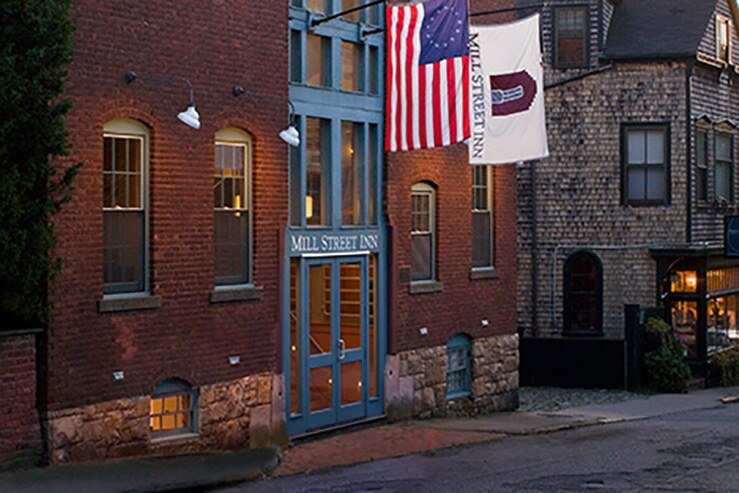 Housed in an 1890s mill, this 23-room inn won an American Institute of Architects Design Award for its transformation into a luxury hotel. Old-world feel and contemporary design work together beautifully: exposed brick, pine beams, and high ceilings are punctuated with modern furniture, potted orchids, and marble countertops. Breakfast (complimentary) is served on the rooftop deck overlooking Newport Harbor, from Memorial Day to Labor Day. Fit for a Vanderbilt. 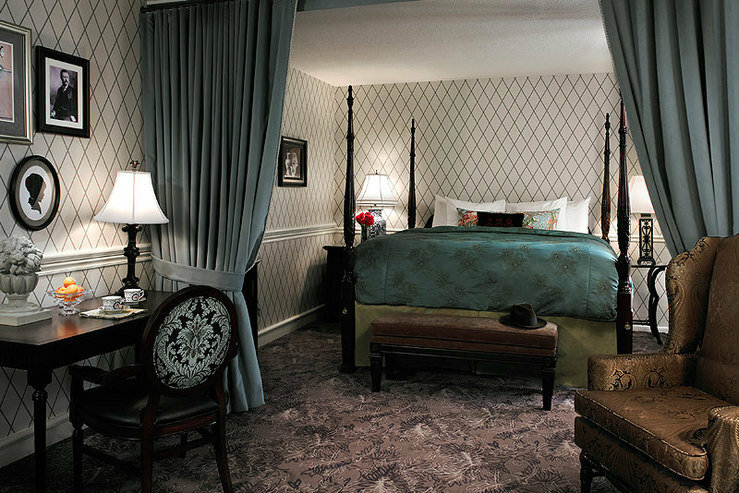 Guestrooms pay homage to different eras of Newport history: some are Gilded Age-opulent with silks, tapestries, and zebra-print chairs, others have the sleek, ebony-and-silver style of the 1930s. The rich, red velvet settees and polished cherry wood floors in the lobby are an excellent setting for an exploration of the hotel’s long list of single malt scotches. This 80-room boutique inspired by arts and local history, characterized by European flair and New England charm, is located in Providence’s thriving theater district. Look beyond the hotel’s handsome exterior and impressive antique furnishings to see that a studied and personal approach to hospitality is at the heart of everything they do. You can find a good-to-great lobster roll at any point along the New England coast, including (cough, cough) Logan Airport. But for the real thing, Kennebunkport, more specifically, The Clam Shack, is the place to go. But Maine is much more than lobster rolls and steamers. It is, after all, as they say, the way life should be. 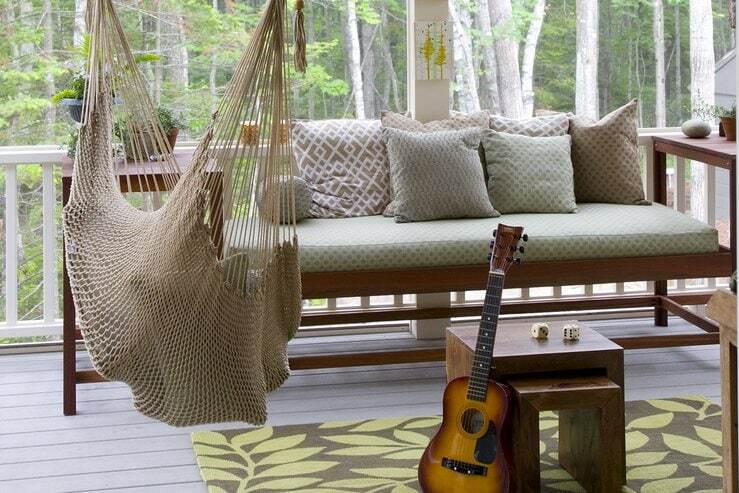 Tucked into groves of beech, balsam fir, and birch trees, Hidden Pond’s cottages are rustic but far from basic. The beds are covered in down duvets and Frette linens, and the kitchens are stocked with gourmet cooking utensils (Sabatier knives). 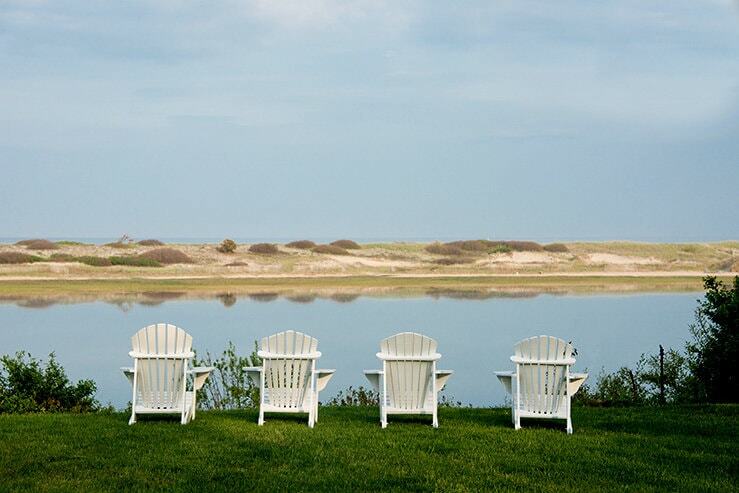 Away from the riverstone fireplace, there’s an organic garden to explore (eat whatever’s fresh; it’s all part of the stay) and miles of walking trails overlooking islands and marshlands full of birds. An indulgent spa and a nationally renowned restaurant round out the escape. From well-manicured lawns and classic verandas, watching the tide encroach and receed is a pastime, a luxury, a lovely form of therapy. Inside the Inn, shelves full of books, big leather sofas to curl up on, and tall paneled windows that open to the salt-spritzed air make life easy and memorable. 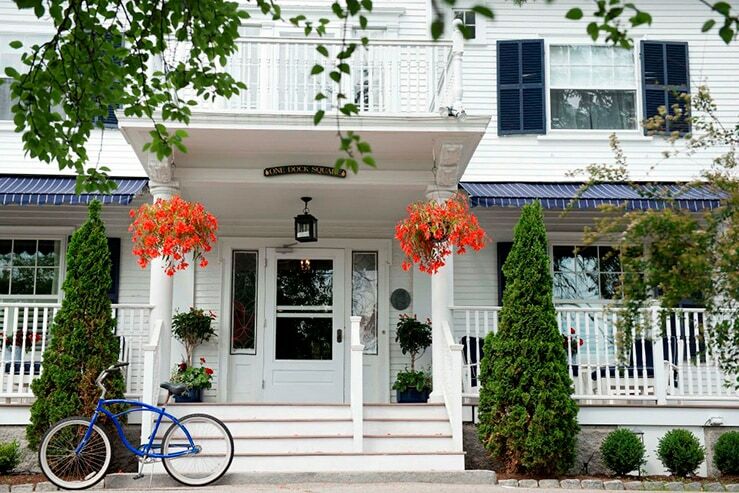 Just blocks from The Clam Shack, The Kennebunkport Inn’s gables and green shutters come with a pedigree: originally built in 1899 for a tea merchant. The Dock Square bullseye location means you can stroll around antique shops and galleries all day, then retreat to the cushy armchairs and ottomans on the front porch for cocktails and people-watching. 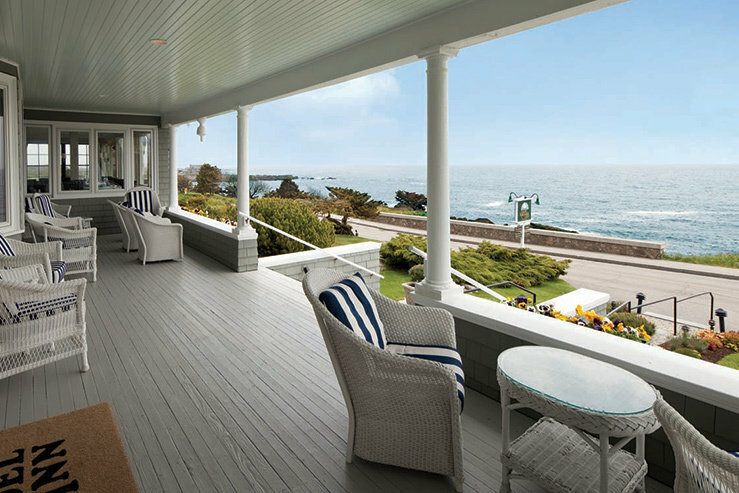 Vacationing in Maine has changed a lot since the 1930s, when current owner Aaron Perkin’s grandfather built the property’s first cottages. But remarkably, the traditional, simple, and quiet getaway this now third-generation property offers has remained true to type and true to its state’s motto: the way life should be. Enjoy sunrise over the dunes before a slowed-down day of chilling by sand, sun, and sea.